There are seven legislative assembly constituency in Gonda district for the 2017 Assembly elections. They are 298 Colonelganj, 301 Gaura, 296 Gonda, 297 Katra Bazar, 300 Mankapur, 295 Mehnaun, 299 Tarabganj. When Uttar Pradesh assembly election 2017 is getting ready to electios new Assembly, Gonda is not anywhere behind in the election heat. Gonda is one of the districts of Uttar Pradesh, India. 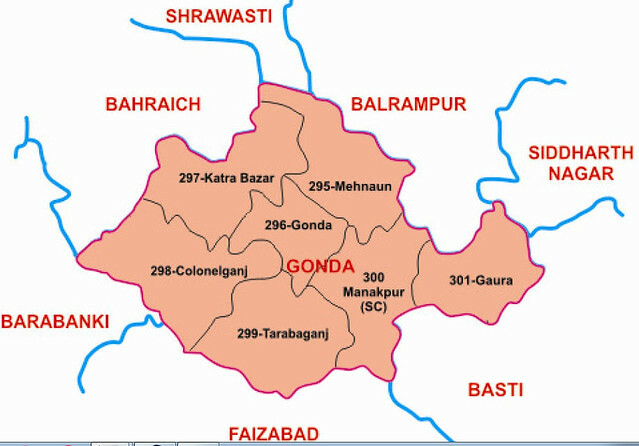 The city of Gonda is the district headquarters, and also the administrative centre for the Devipatan Division.